Is the discrimination faced by “mixed race” populations different from that faced by people of other races? How does various forms of racial difference get codified as law and in the built environment in the US, Latin America, and the Caribbean? 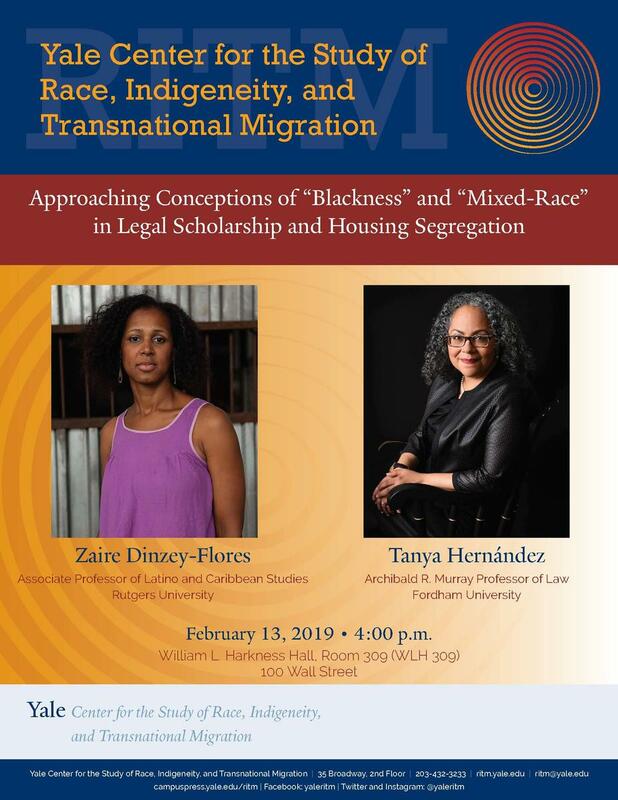 Through their respective works on US Civil Rights Law and housing segregation in Puerto Rico, Dr. Tanya Hernandez and Dr. Zaire Dinzey-Flores approach these questions. Dr. Hernandez, a legal scholar and author of the recently published “Multiracials and the Civil Rights” (NYU Press, 2018), shows how the law has targeted multi-racial people primarily because of their non-whiteness, and proposes that traditional civil rights laws built on strict traditional civil rights laws built on a strict black/white binary need to be reformed to account for cases of discrimination against those identifying as mixed-race. Dr. Dinzey-Flores, a sociologist and author of the award-winning Locked In, Locked Out: Gated Communities in a Puerto Rican City (Penn, 2014), considers how “blackness” gets codified in residential spaces –like the caserio (projects) and the urbanizaciones (suburbs)– in Puerto Rico. Describing the complex role that gates played in protecting the wealthy and white, and criminalizing the poor and Black, Dr. Dinzey-Flores documents and analyzes segregationist policies characteristic of government initiatives in Puerto Rico since the 1990s.